WEST LAFAYETTE, Ind. 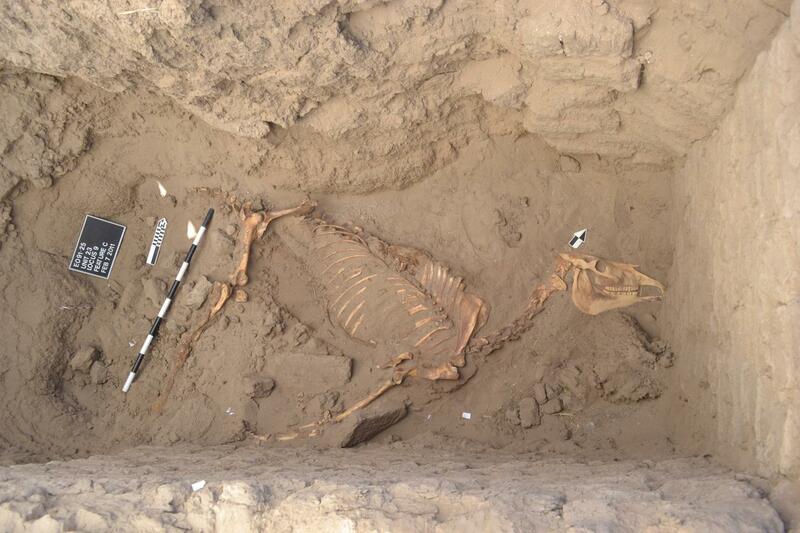 — An ancient horse burial at Tombos along the Nile River Valley shows that a member of the horse family thousands of years ago was more important to the culture than previously thought, which provides a window into human-animal relationships more than 3,000 years ago. "The horse was treated well in life, seeing as how it lived to a mature age," Schrader said. "It also was important to the people of ancient Tombos because it was buried – a rite that is usually reserved for humans. Furthermore, the fact that one of the earliest pieces of iron from Africa was found in association with the horse reiterates how special it was to the people. It is also important to assess the context of Tombos with regard to the horse – the horse is an important and rare find. The fact that it is buried at Tombos indicates that this town may have served an important function in the post-colonial Napatan Period." The excavation was supported by grants from the National Science Foundation; the National Geographic Society; University of California, Santa Barbara; Purdue and the Schiff-Giorgini Foundation. The excavation and research also were supported by El Hassan Ahmed, director of fieldwork at the National Corporation of Antiquities and Museums. The recent discovery of a well-preserved horse burial at the Third Cataract site of Tombos illuminates the social significance of equids in the Nile Valley. The accompanying funerary assemblage includes one of the earliest securely dated pieces of iron in Africa. The Third Intermediate Period (1050-728 BC) saw the development of the Nubian Kushite state beyond the southern border of Egypt. Analysis of the mortuary and osteological evidence suggests that horses represented symbols of a larger social, political and economic movement, and that the horse gained symbolic meaning in the Nile Valley prior to its adoption by the Kushite elite. This new discovery has important implications for the study of the early Kushite state and the formation of Kushite social identity.